When a dragon is the protector of the country, you need to keep it happy and clean. 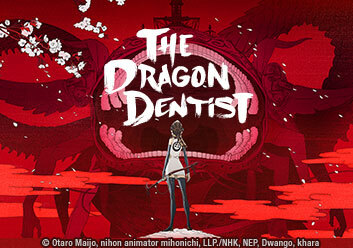 That is where Nonoko comes in: as the new dragon dentist, it is her job to protect it at all cost from battle and, of course, cavities. When cleaning, she finds an enemy soldier resurrected from the dragon’s tooth, named Bell. An old legend says that this occurs before a major disaster. As the future unfolds, what will be the fate of Bell and Nonoko? While caring for her country’s dragon, Nonoko finds an enemy soldier resurrected from the dragon’s tooth. An old legend says that this occurs before a major disaster.